Visitors of all ages will enjoy a multisensory experience while walking along the Sue Reichert Discovery Trail. Some of the featured native plants are known to have closely related fossils that date back to the time of the dinosaurs – find the modern leaf casts! Learn about the natural history of Michigan plants along the special sensory trail and in the tree groves. Find animal tracks to follow, a bug meadow full of interesting insects to observe, and spotting scopes to watch the birds, turtles, and muskrats enjoying Willow Pond. The Sue Reichert Discovery Trail circles Willow Pond to the south and passes by Parker Brook/Parker Pond to the north. 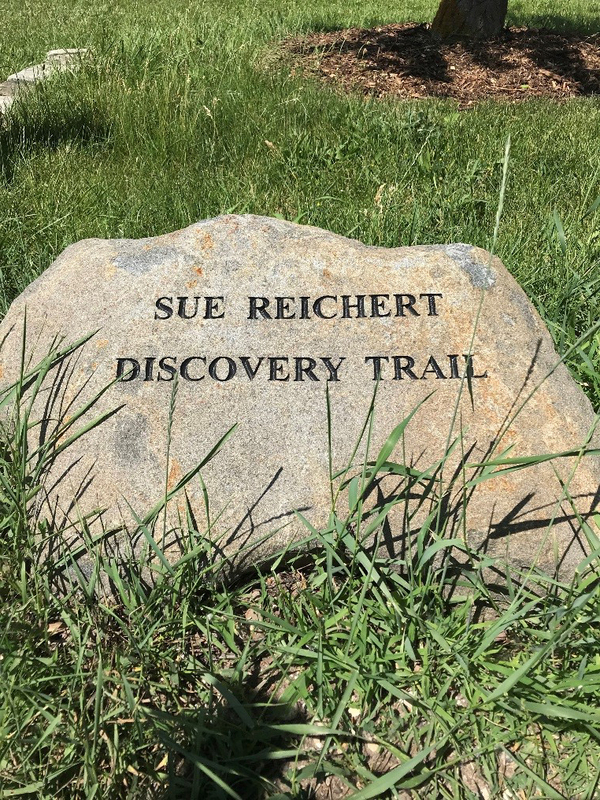 The route around Willow Pond has been designated the Sue Reichert Discovery Trail, in honor of former docent and supporter Sue Reichert. Student interns designed and installed numerous enticing features that are worth a visit. The northern loop parallels Parker Brook and the edge of Parker Pond. Due to its wetland setting, the surface of this turf trail is often damp or wet, earning it the “soggy bottom” moniker among Matthaei-Nichols staff. 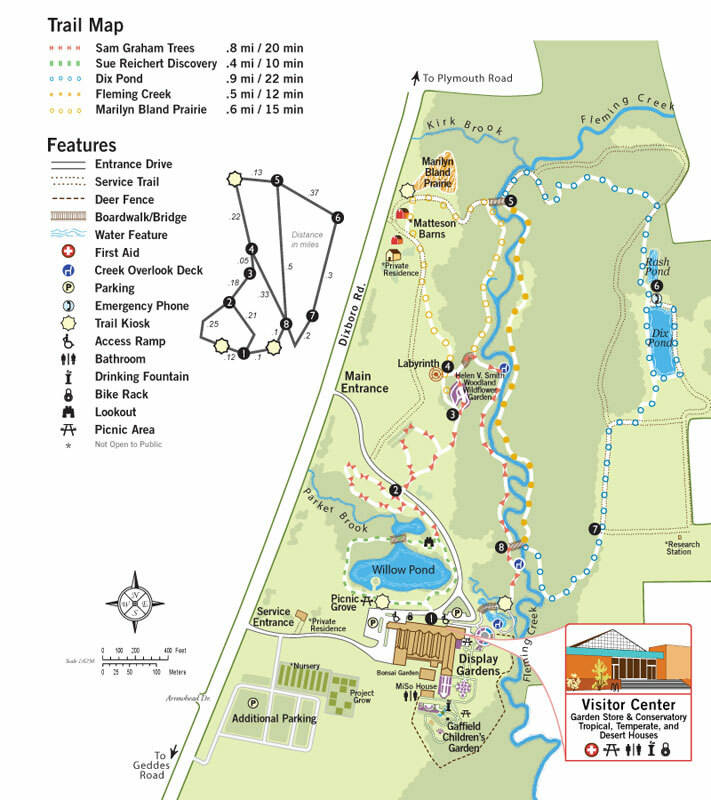 Be sure to wear your boots or check in with visitors services for a trail update. Sue Reichert Discovery Trail Nature Exploration Guide Go on an exciting nature exploration adventure with this guided activity sheet. The Sue Reichert Discovery Trail is at the Matthaei Botanical Gardens site. The Sue Reichert trail was given by Rudy Reichert in loving memory of his wife. For many years, Sue served our community as a docent at Matthaei Botanical Gardens. With her love of children, nature and learning, the trail constructed in her name provides a unique and appropriate memorial. For more details, please contact our director of development, Meredith Olson: merolson@umich.edu; 734.647.7847.